Do You Know How Vocal Cords Work? Do you know exactly how vocal cords work when you sing? 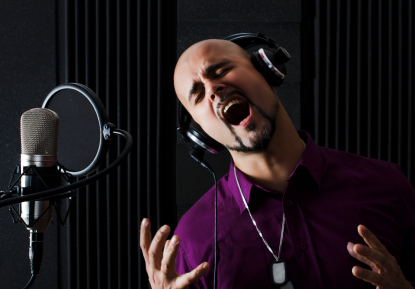 If you don’t, it could be costing you your chance of ever having a great voice. Let's avoid this by learning a few important points about how your vocal chords work. Your vocal chords are NOT muscles. It is a common misconception that your vocal chords are muscles. This is not true. In actual fact, your vocal chords are soft tissue. As the name 'soft tissue' implies, your vocal chords are quite fragile. Therefore it's no use to blast your vocal chords with too much air. They can't stand the pressure. For you to sing well, a few things need to happen. First you need to develop the muscles that control your vocal chords. These muscles are called 'the inner muscles' of the larynx. And these muscles specifically control the closure of your vocal chords. If your inner larynx muscles control the closure of your vocal chords, what controls the opening? You use air pressure to open your vocal chords, and then your inner larynx muscles pull the cords closed again. This cycle happens thousands of times a second. That's why you need exercises that specifically train these muscles for singing. Do you know what the very best exercise for this is? ..Which means, you guessed it... a higher note! And about that special exercise I promised you? Click here, and sign up for the newsletter. You will get many free tips that really help you improve your voice. As well, you will get free access to a video demonstration that includes, the most effective exercise for training your vocal chords. And now you know how vocal cords work, you can use the knowledge for the good of your singing.